Cookies do not contain any information that personally identifies you, but personal information that we store about you may be linked, by us, to the information stored in and obtained from cookies. The cookies used on the website include those which are strictly necessary cookies for access and navigation. All information on this website is represented in good faith. We try to be as accurate and informative as possible, correcting any errors brought to our notice in a timely fashion. However we take no responsibility for any damage or loss occurring from the use of the information herein nor are we responsible for the information or services of sites we have linked to. 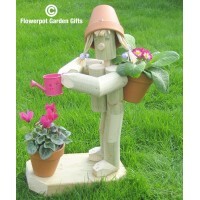 Such links are provided for convenience and information and are not an endorsement by Flowerpot Garden Gifts. 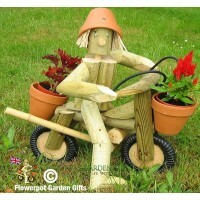 All rights in this website, including copyright, website design, text and graphics, are owned by Flowerpot Garden Gifts. 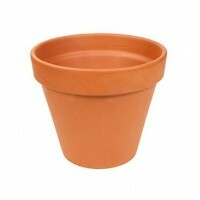 Any use of the site or its contents, including copying or storing it or them in whole or part, other than for your own personal, non-commercial use is prohibited without the permission of Flowerpot Garden Gifts. All rights reserved. 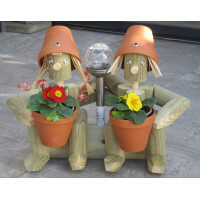 Flowerpot Men garden ornaments with solar lights. 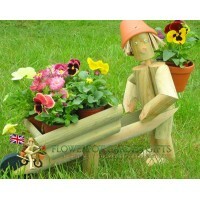 Flowerpot garden figures featuring sporting activities. Garden characters at work and at play. 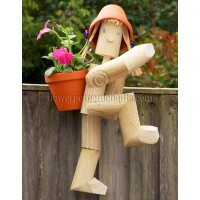 Characters that will brighten up your garden. 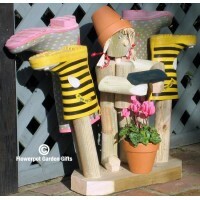 Position them around a pond, a water feature or patio. 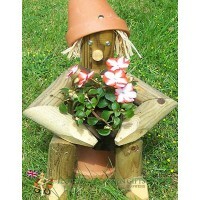 Pairs of our handcrafted flowerpot men. 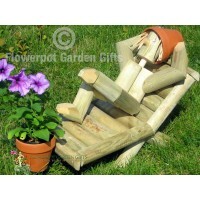 Garden characters that know how to relax! 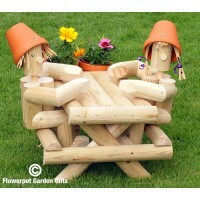 Wooden garden planters to enhance your garden. For boot sizes: Small, Large and Extra Large. Spare solar lamps, and character add-ons.